De Blasio v. Warren: The argument that may not exist. The liberal populist tent is this big. Noam Scheiber’s devotion to stirring up gossip and thoughtfulness about the “Elizabeth Warren wing” of the Democratic Party is admirable. As ever, I’m highly skeptical that a senator elected 14 months ago, who has not done the sort of staffing that pre-presidential candidates do, who has called on Hillary Clinton to run for president, will indeed run for president. 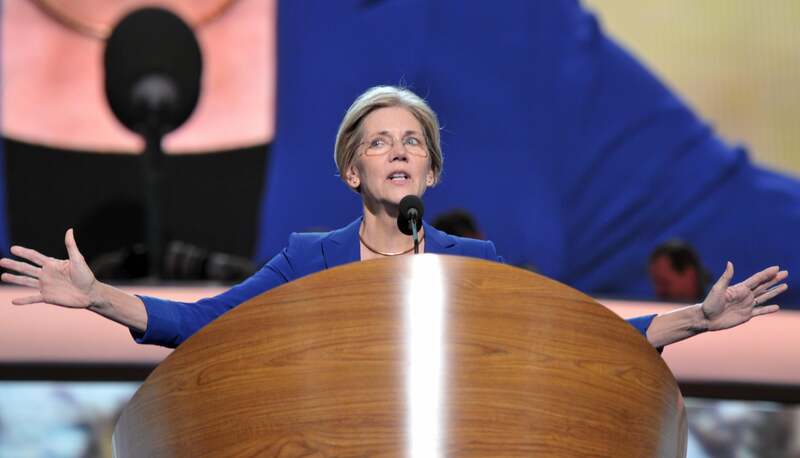 But Warren remains a good avatar for a certain kind of liberal politics. But anyway! In retrospect, de Blasio’s approach compares unfavorably with Warren’s. De Blasio is posing no real challenge to the way New York City works, only saying the wealthy (the financial industry, especially) should pay more. In addition to being more radical substantively, Warren’s agenda is much more sale-able politically. The reason is that it plays directly to the source of today’s anti-government skepticism … in the same way that Middle America believed government was mostly benefiting the undeserving poor in the 1980s and early 90s, today they believe it mostly benefits undeserving rich and powerful. And, just as Democrats had to dispel the former belief before they could advance the rest of their agenda, today they must dispel the latter. Warren’s approach does that. Assuming that’s all correct, Scheiber’s de Blasio/Warren difference may not actually exist. The first video of candidate Warren that went viral was her living room speech about how “nobody got rich on their own,” and that the successful had to give back. This has always been part of her appeal. Also: Warren and de Blasio are always going to have different approaches to politics, because one of them’s a senator with no governing responsibility, and one is a mayor who needs tax changes approved by the state legislature. No one will blame Sen. Warren if his street’s not shoveled by the city.